The vessel ATLANTIC CRUSADER in Tilbury Docks. 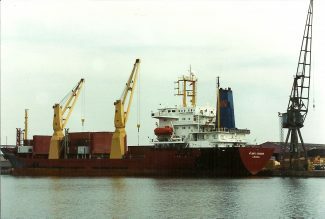 ATLANTIC CRUSADER (7366 tons gross) was built in 1992. 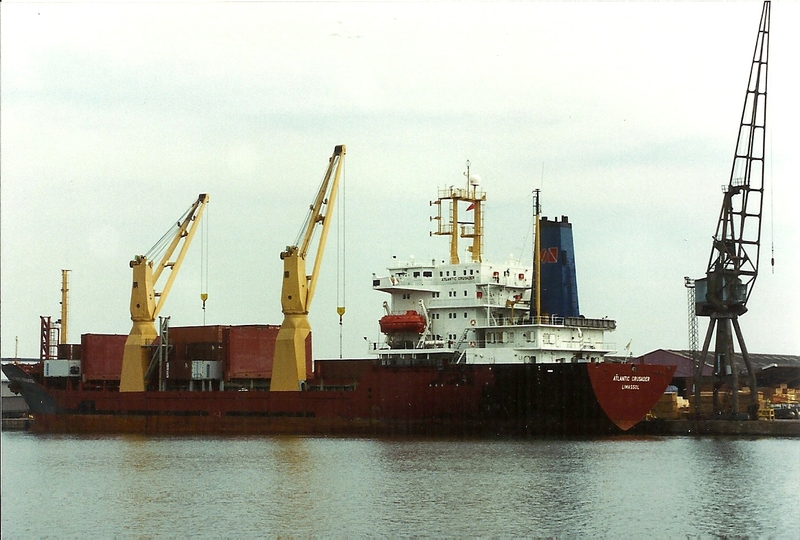 It was owned by Lunarbow Shipping Co Ltd and managed by Intership Navigation Co Ltd of Limassol, Cyprus.